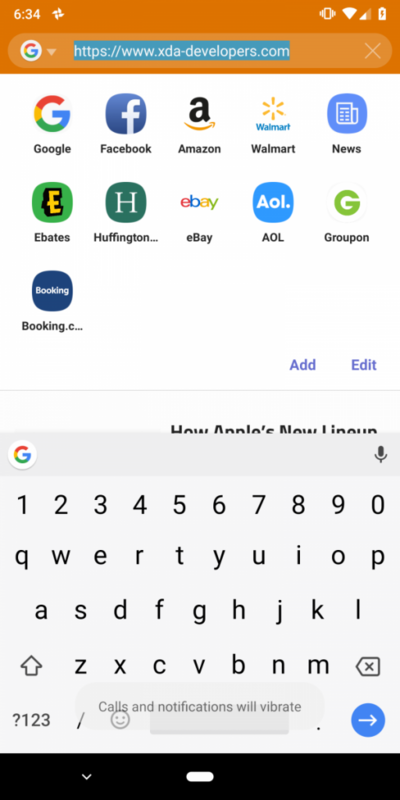 It might not be the juggernaut that is Google Chrome, but Samsung Internet has gained a dedicated following thanks to the extra features that it offers on top of Google’s browser. Just recently we reported on the new Samsung Internet 8.2 beta that brought features like parallel downloading for faster file downloads and Do Not Track mode. 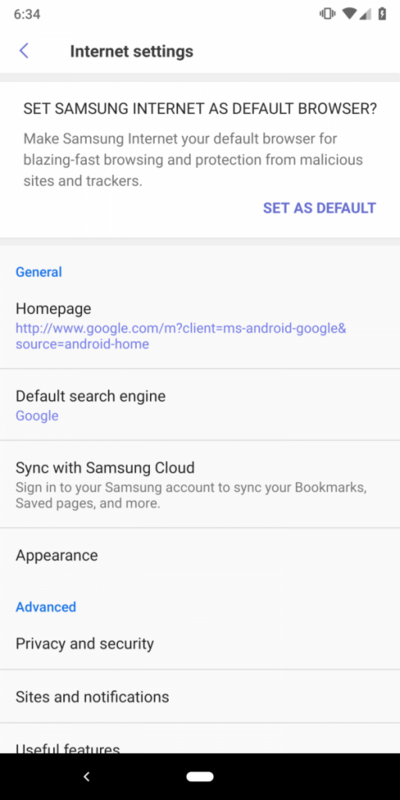 In the first Samsung Experience 10.0 build based on Android Pie for the Samsung Galaxy S9+ that we found, we were able to get an even newer version of Samsung Internet. 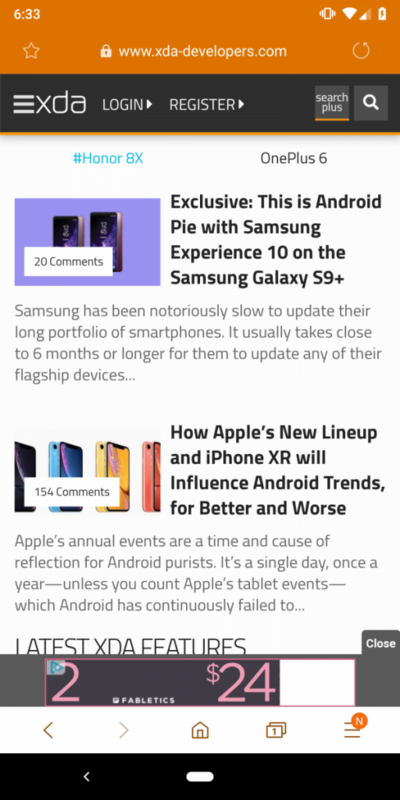 Samsung Internet 9.0 brings a major redesign to the browser with the new rounded corner UI found in Samsung Experience 10. This new update brings a redesigned quick access menu. This quick access menu allows you to request a desktop site, turn on night mode, change text size, and control your add-ons (the content blocker and tracker blocker). Night mode is a cool feature which will dynamically change background and text color on websites without changing any pictures. 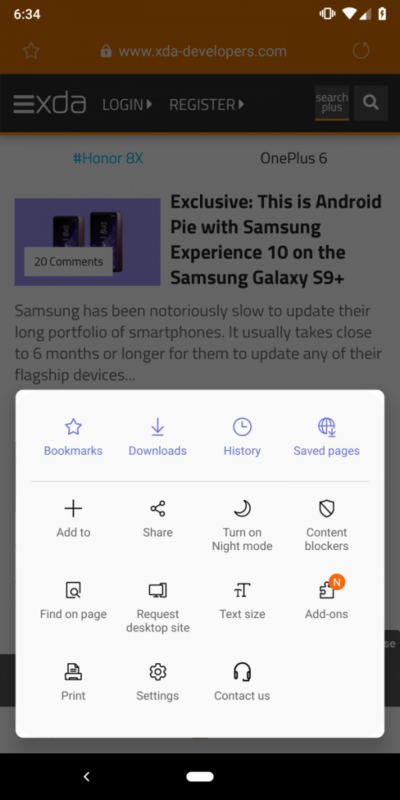 This shortcut does not connect to the new system-wide night mode in the Android Pie update for the Galaxy S9+, so you will still need to manually enable it. This new design language in Samsung Internet 9.0 really speaks to what Samsung is trying to do with their Android 9 Pie update and Samsung Experience 10. The new rounded edges match those of the actual Samsung Galaxy S8 and Samsung Galaxy S9. I am personally a fan of the rounded design. You can install this for yourself by downloading it from our AndroidFileHost page. This app will not install on Samsung phones running Android 7.0 or later. However, it will install on any other Android device running Android 5.0 Lollipop and newer. We successfully installed it on a Google Pixel 2 XL and OnePlus 6 running Android 9 Pie, for instance. On non-Samsung devices, it will work just like how it does on Samsung phones except without Samsung Pay integration.